A North Jersey woman was hospitalized after crashing her go-kart into a wall at the Breakwater Beach facility in Seaside Heights, police said, but the ride was “immediately reopened” by state inspectors who deemed it safe. The incident occurred 5:15 p.m. Saturday, said Detective Steve Korman. 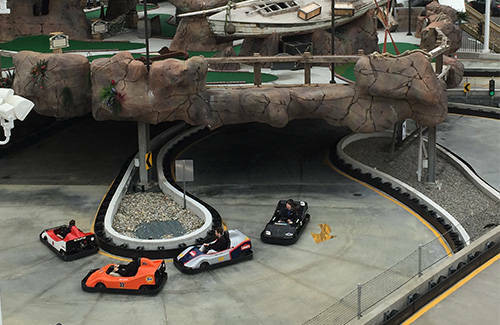 Officers were called to the amusement park after a 21-year-old Jersey City woman apparently struck a wall with her go-kart and was knocked unconscious. Emergency staff from Casino Pier, which owns Breakwater Beach, were already on scene tending to the woman when officers arrived. She was taken by Triboro First Aid to Jersey Shore University Medical Center, Neptune, where her condition is currently unknown. “The New Jersey State Amusement Ride Safety Unit arrived, inspected the ride and reopened the track immediately,” said Korman.